Rejoice, Vernors fans! 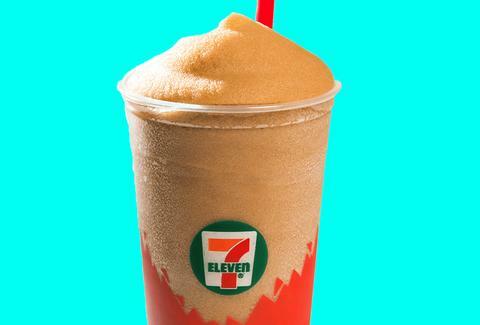 Taquito dealer and convenience store 7-Eleven is now selling a Slurpee made from the popular Detroit-based ginger ale brand. And Vernors is just one of several beloved regional soda-flavored Slurpees the chain has added to its lineup this week. According to a press release, there are two Vernors flavors available: one based on the original soda and another based on the Boston Cooler, which is a more succinct way of saying a Vernors float made with vanilla ice cream. Other Slurpee additions include Texas' pride and joy, Big Red; NYC's own Dr. Brown's; Jones Soda from the Pacific Northwest; and fellow Detroit favorite, Faygo (aka juggalo juice). And every one of these Slurpees is packed full of all the hometown pride that could possibly fit through a fluorescent shovel straw. Judging from these super=exclusive, limited-edition options, you're probably going to want to borrow mom's Subaru and hit up the nearest 7-Eleven while you're home for the holiday. While Florida residents aren't getting a regional soda flavor, 7-Eleven decided to bless the state with a Strawberry Mojito Slurpee -- all you need to do is add rum. Meredith Heil is a staff writer for Thrillist. She's rolling through Ladera in a Beemer looking cleaner, drinking on the Vernors Slurpee, eating that fajita. Hit her up @mereditto.